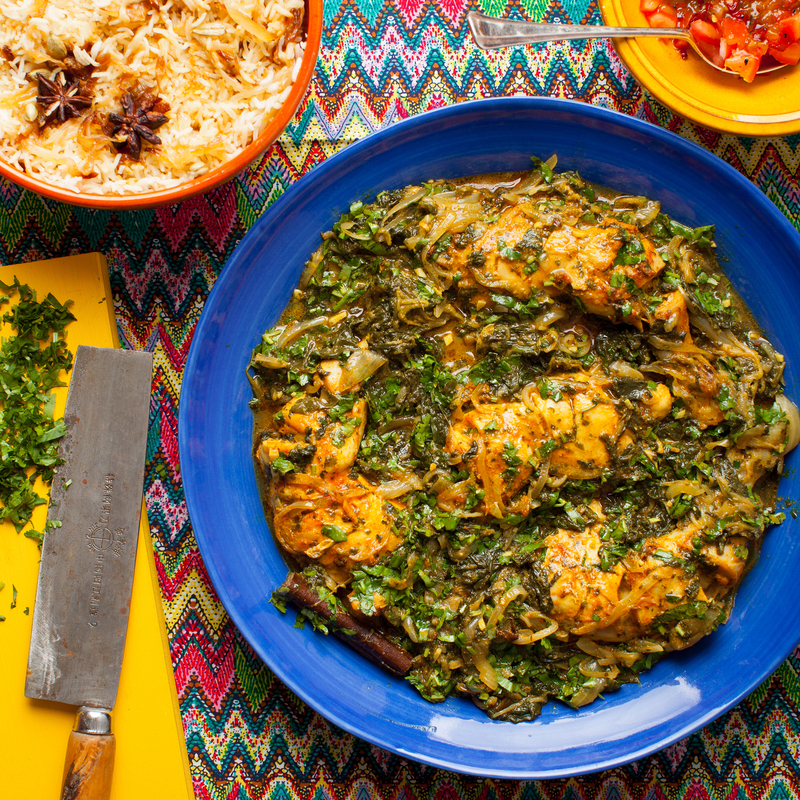 You'll receive all of the fresh spices and recipe cards you need to cook a popular curry menu main along with all the savoury side dishes - like naan breads and chutneys - to feed four. Indulge in a luxurious and mild Pasanda. Learn to cook your favourite curries, and impress your friends and family with the results. 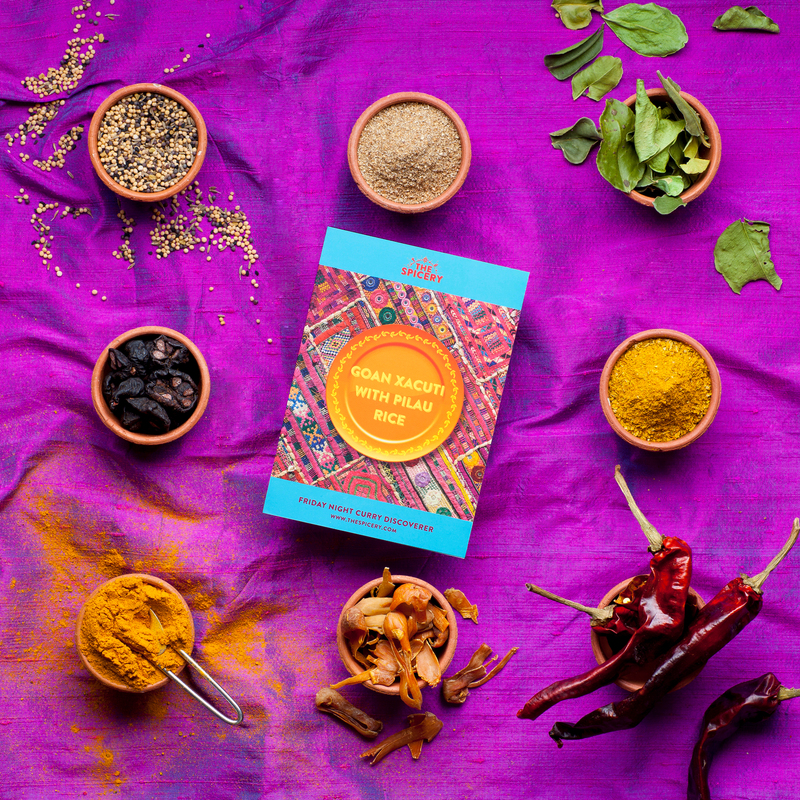 Makes a great gift for curry lovers, families, keen cooks, those hard-to-buy-for dads and brothers... or just to expand your own curry repertoire! 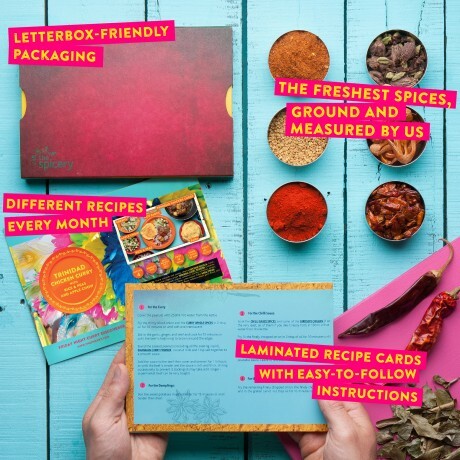 Each box is unique, and changes every month so you'll always have something new and exciting to try (you can also switch easily between any of the 10 boxes available each month so you can be sure you'll always have something you'll love to cook). Each recipe serves 4 hungry people. 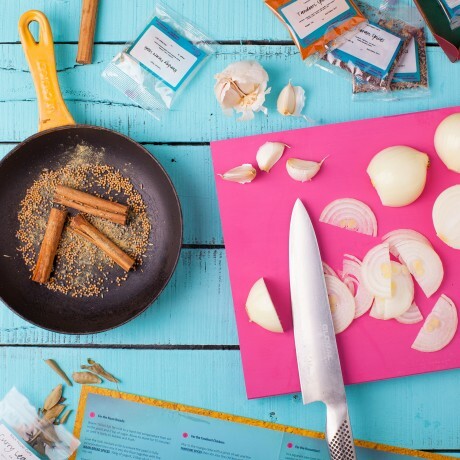 The recipes are easy to follow, and include a full shopping list of the other ingredients you'll need - which can all be purchased from a standard supermarket. 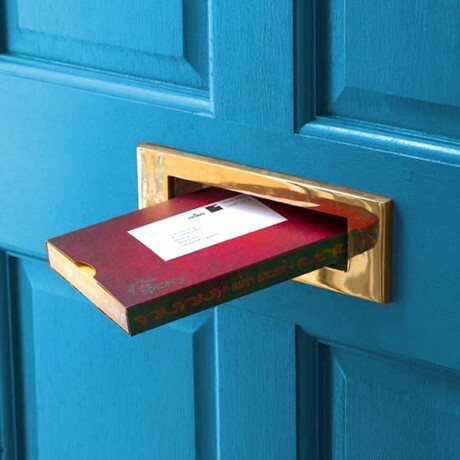 1) Send to yourself or direct to the recipient! 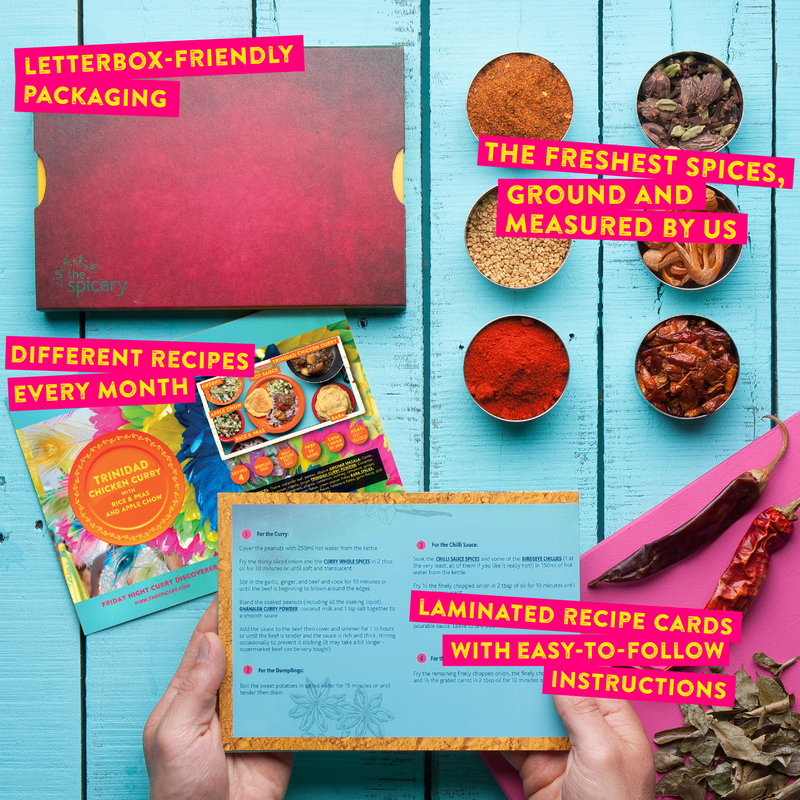 The first spicebox is packed in a brightly coloured box (non-branded to avoid spoiling any surprises!) and sent first class. You can have this packed in a beautiful fabric giftbag to make a stunning gift (and save on wrapping paper!). The first box includes a voucher that needs to be redeemed by the recipient to receive their remaining boxes to their own address (we won't send anything else until the voucher is redeemed)! 3) Enjoy creating incredible world food from your own kitchen! Add a beautiful, limited edition gift bag? : Please select... Yes please! (+£3.50) No thanks! Sending to yourself? 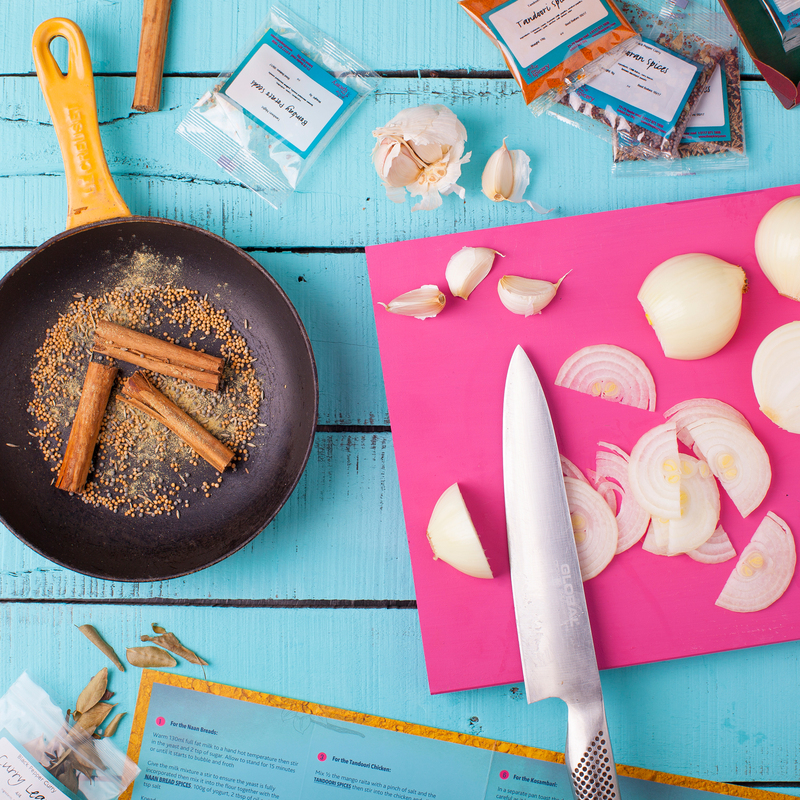 Add a sample kit to try (serves 4)! : Please select ... Yes please! (+£3.50) No thanks!